You Can’t Put Wallpaper Over a Hole! I was told this job was ready to go, but when I got on-site, look what I found. They removed a noisy and ill-placed exhaust fan and drywalled over the hole. But when they removed the electrical switch for the fan, they forgot to patch that hole. I can put paper over small holes, but not one this large and not in such an obvious place. It will be visible, and it’s likely to get punched through. 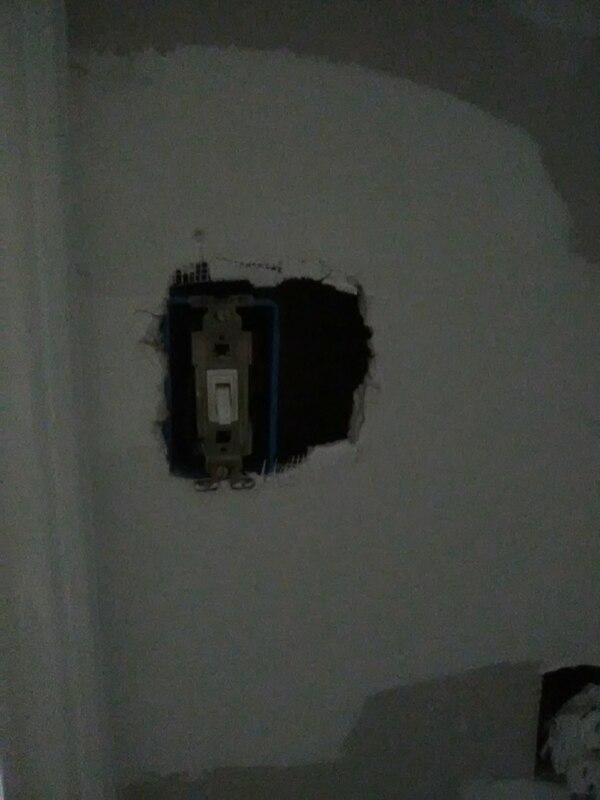 So I had to go home, and will wait for the contractor to repair this (along with a few other dings). This entry was posted on September 2, 2018 at 2:30 am and is filed under Uncategorized. You can follow any responses to this entry through the RSS 2.0 feed. You can leave a response, or trackback from your own site.